With the holidays coming we tend to focus a lot on high calorie foods but they don’t have to be. 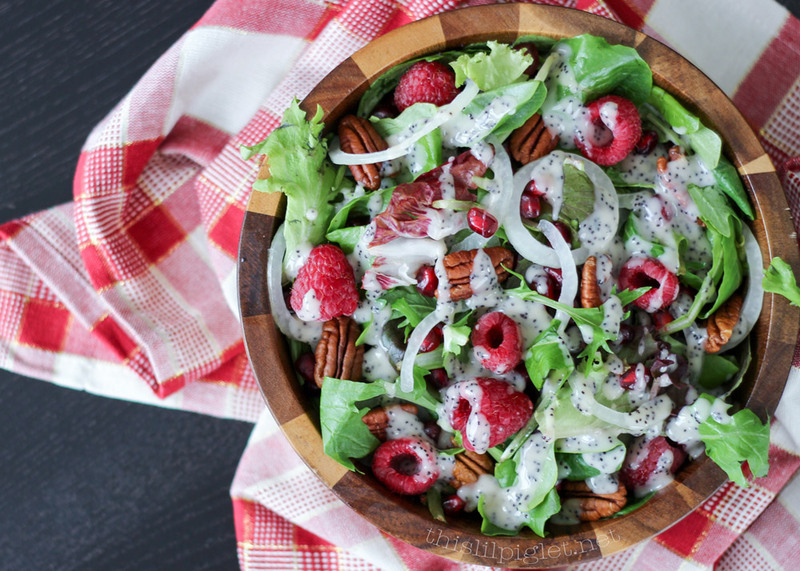 I have to agree there is something about food jammed full of yummy goodness that goes hand and hand with Christmas but for those who have to watch their intake, this Raspberry Pomegranate Salad is a delicious and visually festive alternative. I prefer to offer lighter options on my holiday table for my guests so they leave feeling full and satisfied rather than full and ill. Holidays aside, this is a salad I make quite often; it’s packed full of a sweet and tangy flavour with the health benefits. My husbands favourite salad dressing is creamy poppyseed and because we are beekeepers, I am sharing my honey version of the dressing. Honey isn’t just a tasty sugar substitution, it has multiple health benefits as well. Wash and cut salad into a bite-sized pieces and place into a large salad bowl. In a shaker container for the dressing, mix mayonnaise, vinegar, honey and poppyseeds; shake well. 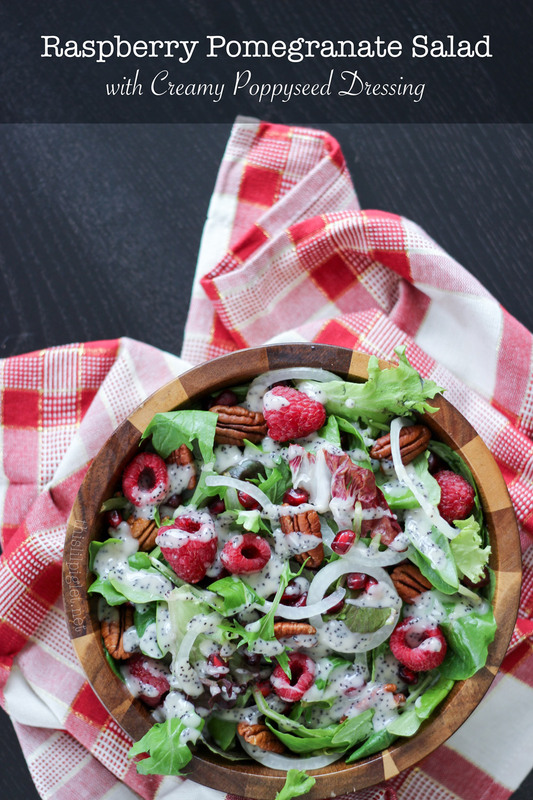 Place onions, raspberries, and pecans into the salad and right before serving pour a generous amount of dressing over the salad and toss lightly with salad tongs. That looks amazing. I can’t wait to try this recipe. Thanks for sharing! Yummy, this salad looks delicious and super tasty! Thanks for the inspiration, l love salads!